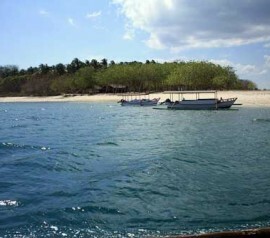 For a glance, Gili Tangkong looks like an isolation place. Its far from crowd, and no facilities like you usually find in tourism place. But once you enter this place, you’ll find peace that its hard to get from other places. In Lombok island, there are many gili (small island separate from the main land, from Sasak language) with different character of beauty. Because of the special character, you need ways to enjoy a different tourism attraction as well. 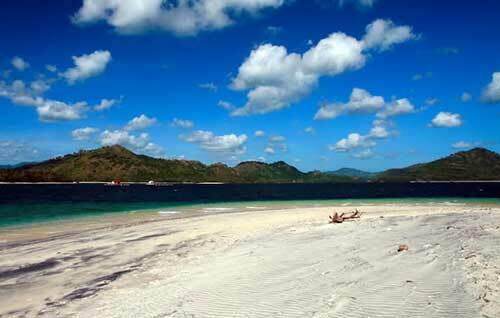 One of small, peace and beautiful island you can visit is Gili Tangkong. 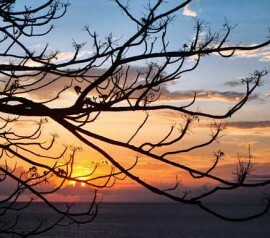 From many other Lombok gili island such as Gili Trawangan and Gili Air, Gili Tangkong may to be the virgin one. This island hasn’t become a main tourism destination so it feels silent because no one dwell it. There are no foot prints in the beach shore, no plastic/can rubbish, but only little garbage which are taken by the waves from nearby island. But, you can do many activities here. 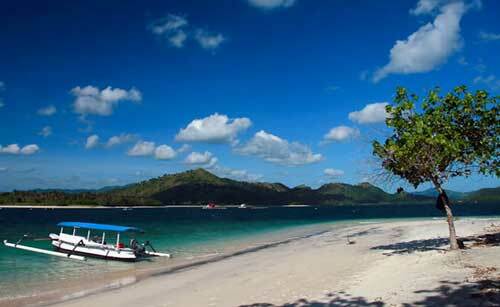 All tourism activities that you can do in other commercial islands can be done as well in Gili Tangkong. 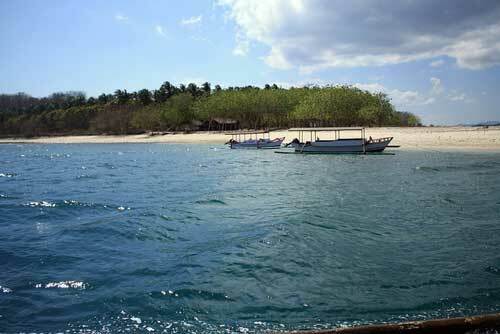 You can take a walk, around the gili, snorkeling even Lombok diving to enjoy undersea scenery. Foreign visitors who come to visit it usually bring supplies and equipments to camp. They do snorkeling and diving at the daylight.The coral reef are still natural, many fishes around like clown fish, tiger fish and some other beautiful fishes. The availability of public transportation to Gili Tangkong is rare. Public transportation from Mataram only reach to Lembar harbor. That is why, is much safer if you take personal/ rental car. 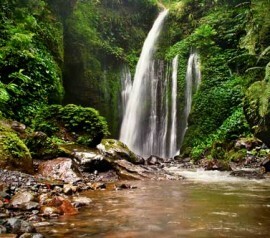 By car or motorbike, best route Mataram-Dasan Cermen-Rumak-Gerung-Lembar. This route is about 25 km long. You can cross to Gili Tangkong by Lembar commodity harbor. This harbor located more or less 500 m in the east side of Lembar harbor. 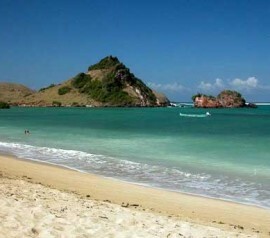 It cost around IDR 400,000(shuttle) to rent a boat to cross, with maximum passengers 6 persons. Many interesting places you will pass if you cross from Lembar harbor, such as Landak cave, Gili Sudak, Gili Kedis (the smallest gili and visited by many seagulls), and Makam Keramat (sacred grave). From those four, Makam keramat can be said to be unique. This grave is located in the middle of the sea. It shaped like small, four-legged dome and it made by special technique so even the sea water is in tidal movement, the water cannot reach the dome. Another cross harbor is located in Mawun, about 5 km from Lembar harbor. From this harbor, you may across to Gili nanggu. Its far indeed, but you will pass a beautiful sandy beach which will amuse you along the trip. If you cross from this point, prepare for IDR 400,000 to rent a boat shuttle with 6 persons maximally. 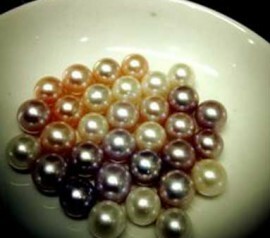 Also mentioned: gili tangkong, gilli tangkong. If you heading from Lembar harbor, ask the boat crew to step by for a moment in Gili Kedis, Gili Sudak, and Makam Keramat to take pictures. Bring your diving and snorkeling equipments if you want to do those activities in Gili Tangkong. Bring chops of bread for the fishes, if you plan to snorkeling / diving. Nearest Hotel or Resort: No hotels in Gili Tangkong. But you can stay in nearest hotel such as Cocotinos Hotel Sekotong Lombok at Sekotong area.